Directions: From Custer, South Dakota, take US-16SA, 8 miles east to SD-87. 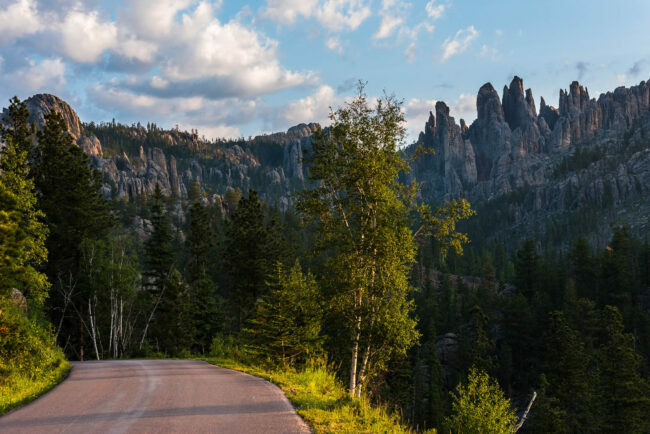 Take SD-87 North along Needles Highway. Its about 14 miles scenic byway drive. Things you need in terms of gear is decent telephoto to wide angle zoom to cover the landscape and wildlife around here. 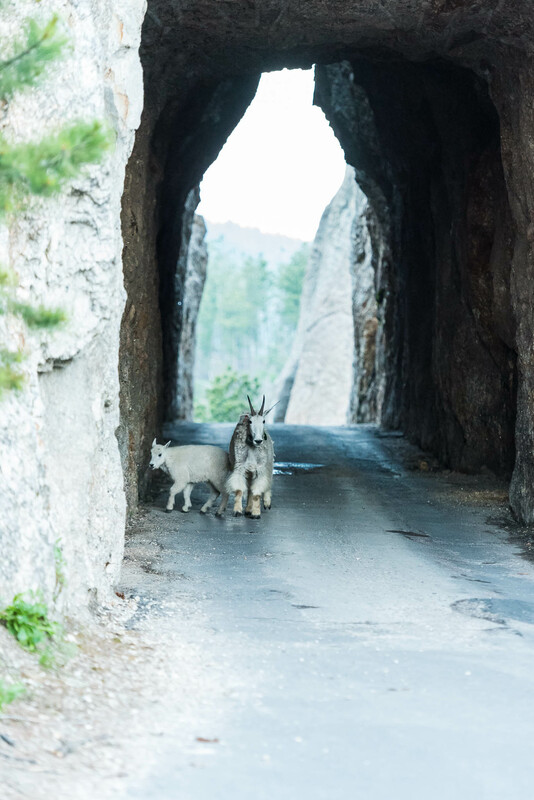 The cover photo was shot during sunrise hitting peaks and the other photo was at the Needle Eye Tunnel with Mountain goat and Kid. If you happen to go after 8 AM drive safe as the drive is mostly bumper to bumper on busy weekends.